As well as using this spice in various meat dishes, I love the flavour it imparts when rubbed on to salmon before cooking. Served with my favourite coconut rice, this dish is extremely tasty and very simple to serve up. Mix all the ‘rub’ ingredients together in a small bowl then massage into the top of the salmon fillets. Place the fillets on a baking tray and bake at 180°C for 12 to 15 minutes (depending on size) until just cooked. Serve on a bed of coconut rice. 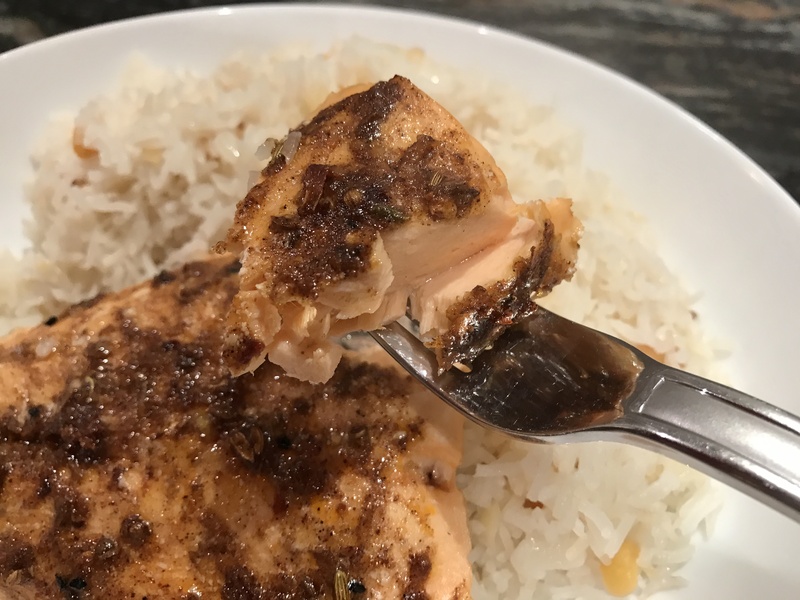 This entry was posted in Dinner and tagged Coconut, Coconut Rice, Cooking, Dinner, Gluten Free, Healthy Eating, Lunch, Ras-el-Hanout, Salmon, spice, Supper, Wheat-Free. Bookmark the permalink.